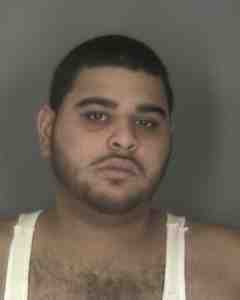 GRANBY – Jimmy Javon Rolon, 21, and his mother, Veronica L. Lebron, 39, both of 123 Senior Avenue in the town of Granby, were arrested on November 25 following joint investigation by the Oswego County Drug Task Force, the New York State Police Community Narcotics Enforcement Team, the Oswego County Sheriff’s Department, the Fulton City Police Department and Oswego City Police Department. A search warrant on their residence resulted in the seizure of more than 100 glassine envelopes of alleged heroin along with U.S. currency. As a result, Rolon and Lebron were both charged with criminal possession of a controlled substance 3rd, a class B felony; and criminal use of drug paraphernalia 2nd, a class A misdemeanor. Rolon was arraigned in Granby Town Court by Hon. Bruce Wells and remanded to the Oswego County Correctional Facility in lieu of $25,000 cash or $50,000 secure bail bond. Lebron was arraigned in Granby Town Court by Hon. 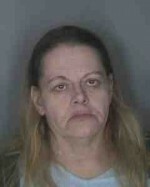 Bruce Wells and remanded to the Oswego County Correctional Facility in lieu of $15,000 cash or $30,000 secure bail bond. They are both scheduled to appear in the Granby Town Court on December 2. Adam M. Hamilton, 22, and his mother, Theresa Akarpinar, 45, both of 307 Rathburn Road, Lot #17, Granby, were arrested as a result of a search warrant executed at their residence. Hamilton was arrested on November 25 on an active bench warrant by the Fulton City Police Department. He is accused of failing to appear in court as scheduled for a previous arrest for criminal impersonation 2nd and disorderly conduct. 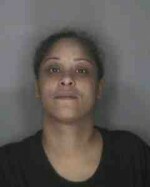 Hamilton was arraigned in Fulton City Court by Hon. 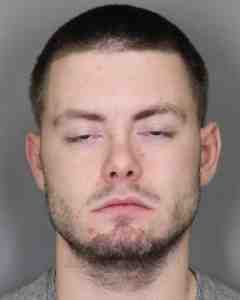 David Hawthorne and remanded to the Oswego County Correctional Facility on $2,500 cash bail or $5,000 secure bond. His next court date is not available at this time. Akarpinar was arrested on November 25 by the Oswego City Police Department and charged with criminal possession of a controlled substance 3rd, a class B felony; and criminal possession of a controlled substance 7th, a class A misdemeanor. Akarpinar was arraigned in the Oswego City Court by Hon. James Metcalf and remanded to the Oswego County Correctional Facility in lieu of $5,000 cash or $10,000 secure bail bond. Her next court date is not available at this time. These investigations continue and other arrests are anticipated. 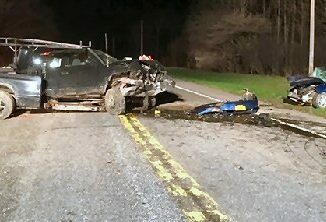 Anyone with information about this investigation or other drug related offenses are encouraged to call the Oswego County Drug Task Force anonymous tip line at 315-349-8222.